Gather round fellow hulks! Don't try to shoehorn your girth where it doesn't fit. Use these proven modifications to lift through, over, and around training constraints! "I've found ways to modify movements to make sure everyone, including immense ripped dudes and husky beasts, can get the benefits they should." 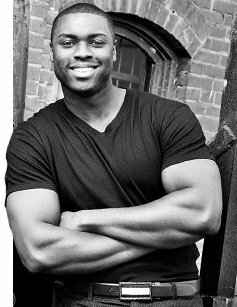 I used to dream about carrying around so much muscle that I would have to walk through doors sideways. I'm still chasing that dream, but I see and work with people every day who accomplished it—and became too big to function normally. I also see guys who might not be the most muscular pieces of man-flesh out there, but whose size nevertheless keeps them from doing the types of training that the rest of us take for granted. I've written articles for tall, skinny, and short-and-stocky lifters, but I haven't seen much directed to guys who are straight-up big. This is too bad, because big bodies require even more maintenance and special care than those other body types, especially when it comes to maintaining proper flexibility and mobility. This can affect quality of life outside of the gym and lifting quality inside; many of the best muscle-building movements demand significant mobility to achieve proper form. I'm no superhero, but at 255 pounds, I'm much thicker and heavier than I was when I started training. This has given me a soft spot for big dogs who struggle with equipment designed with someone else in mind. It's also made me look for ways to modify movements to make sure everyone, including immense ripped dudes and husky beasts, can get the benefits they should. Here are a few of my favorites. There aren't a lot of options for dips at universal gyms. You can do them off a bench and build your triceps while destroying your shoulder capsule, or you can struggle on parallel bars in a hybrid pull-up machine that you're too wide for. I struggle with this myself, so I can only imagine how hard it is for serious mass monsters. Set the safety bars in the power cage to waist height. Position two barbells on the pins in a V-shape, with you at the wide end. Adjust the width until it suits you, and go to town. This simple setup lets you alter the hand width and angle to match your own width. If you want your elbows to flare out, angle the bars more. You could even place one barbell flat against the rack so the barbells don't slide. However, in most cases the sliding issue will be eliminated once you get your body stable and can produce even force on both sides. If you're still worried, throw a yoga mat over each safety bar for a little extra traction. Most people use the V-grip bar on seated rows, but there's a fundamental problem with this setup. The close grip forces your shoulders into internal rotation because the hands are positioned toward the midline of the body. This causes the elbows to flare, making full shoulder-blade retraction impossible because the torso gets in the way. When the elbows travel back from this flawed position, it can lead to forward migration of the shoulder in its socket, which further defeats the purpose of doing rows in the first place. When you're big, this situation is even harder to avoid. In fact, I'm pretty sure I just described a major contributor to tightness in the traps and pecs for a lot of guys. 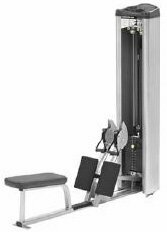 Seated row machines that come with dual-cable pulleys are worth their weight in gold. They encourage correct elbow and hand position, allowing for full scapular retraction without compromising the shoulder. If your gym doesn't have a dual-grip pulley, do wide-grip underhand rows. The elbows won't be pulled back as far, which limits room for shoulder migration. A wide, underhand grip promotes greater external rotation, making it easier to target the muscles a row is supposed to strengthen. If you're a huge bro, you probably carry some extra weight and size in the stomach area. That can pose problems for deep squats, conventional deadlifts, and leg presses. Trying to contort your body to match the form you see explained in online instructional vids not only feels awful, it also forces you into doing the type of pathetic half-squats and bent-backed deadlifts you know are bad news. Even if you're not a powerlifter, consider lifting like one. Many powerlifters use a sumo deadlift to decrease pulling space, incorporate more inner thigh, quad, and glute, and just to get that gut out of the way. But no matter how wide you set your feet, try a duck stance and open the knees slightly. This helps to open the hip flexors and keep the spine straight, but in my opinion, it also falls more in line with most people's natural hip anatomy. Most importantly, it creates a better start position for deadlifts and a better bottom position for squats and leg presses. Trust me: These aren't lifts you want to do with poor form! Face pulls can seriously benefit big guys with terrible posture. 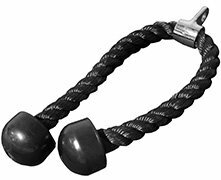 However, they're typically done with rope attachments that don't quite reach out far enough for an immense set of shoulders. Here's the solution: If your gym has more than one set of ropes, attach two ropes to one pulley, pull them long, and enjoy your giant rope attachment! Long ropes allow the hands to separate further and provide a full range of motion for even the widest guys. If your gym only has one set of ropes, do face pulls unilaterally. Be sure to keep a straight body so you can manipulate the finishing position to your liking (overhead, over the shoulder, etc.). I'm no Hercules, but I'll admit that each of these was created to solve a problem I experienced personally. There's no doubt that plenty of even more massive guys encounter these hurdles and others every day when they set foot in the gym. If you have more big body mods in your arsenal, give me a shout in the comments!